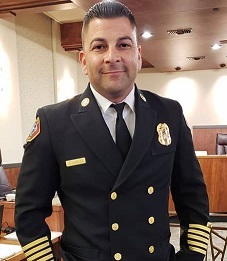 Glendale, CA – On Tuesday, February 5, 2019, the Glendale City Council confirmed the appointment of Silvio Lanzas to Fire Chief of the Glendale Fire Department. Chief Lanzas has been serving the Glendale community since December 2017 when he joined the department as its Deputy Fire Chief, Communications and Community Relations of the City of Glendale reported yesterday. On behalf of ANCA Glendale Board members and entire team we would like to congratulate the newly appointed Fire Chief Silvio Lanzas, wishing him the best of luck and looking forward to a prosperous and supportive relationship with each other to serve our community fully.